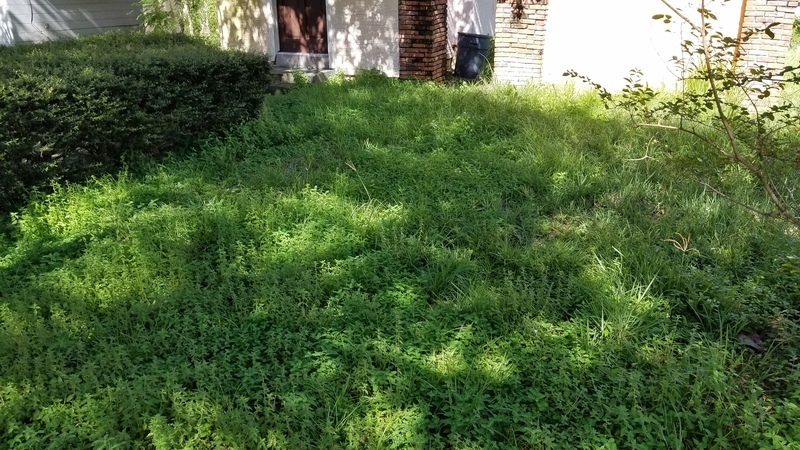 The vacant lot directly behind the noted address is constantly overgrown. I always have to call the city and have someone come out and cut the lot. I feel unsafe in the early mornings and late nights coming home because I have to park in my backyard drive way. lot needs to be cut on a regular basis for safety. Another pile of trash sitting in the front yard again. Some could be recycled if the people weren't so lazy. A month or so ago an LED fixture was installed on the pole in our neighbors back yard. I realize the switch to LED was a city wide initiative with Duke, and appreciate a well lit alley, however, this light is NOT in an alley. It is smack dab in the middle of our neighbors back yard, so all it is doing is lighting up his yard, not the alley. The light glows bright enough to illuminate our bedrooms (including that of our two year old) as if it was midday all night long. Can someone please come and tone this thing down!? duke may have installed a security light at the home owners request ,for a small monthly fee of course. They can put a smaller bulb in as they did in my yard but it still shines bright. no offence intended but its benifiting you also from a security stand point. The City Does NOTHING about light trespass. Good Luck because the city will not help you. Duke will want you to pay for anything they do. Abandoned, unkempt property. Overgrown yard. There are several dumpsters behind the restaurant and shops, and people have been dumping anything and everything behind the structures. There is paint, political campaign signs, food trash, brush, shopping carts, a couple of dead animals (possibly caught by hawks living in the trees), there have been a few work trucks spotted dumping pallets, scrap wood, metal, and other people smoking and lighting a fire in the back of the dumpster structure. The smell from the area can be smelled from a couple of blocks away. hello good morning this morning on my way to work I saw a dead kitten by gibbs high school I was trying to stop to put it on the side of the word but traffic was too heavy I could not if someone could please go pick it so people don't keep running it over. Issue 4822925 has been marked as a duplicate of this issue. He lives in Canada and has told all the neighbors to stop calling codes or he won’t do anything. His son lives up by Gainesville. Message me and i will give you his phone number and you can try to get through to him. I have told him over and over there are homeless people trying to get on his home. He doesn’t care. He hasn’t paid taxes in 2 years. Issue 4712915 has been marked as a duplicate of this issue. Issue 4822731 has been marked as a duplicate of this issue. Issue 4594619 has been marked as a duplicate of this issue. 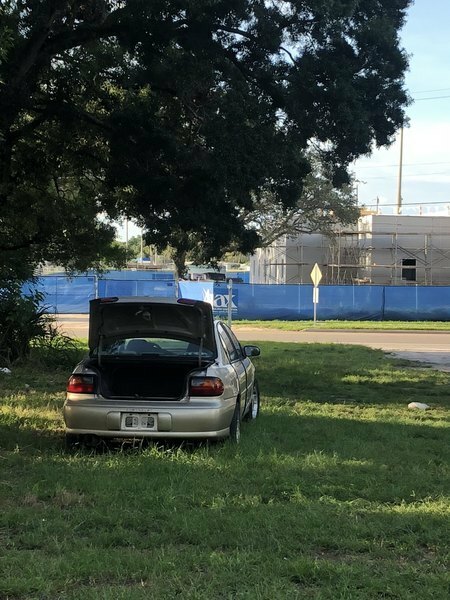 There is an abandoned vehicle with no license plate in the lot that is for sale. Additionally there is trash in the alley that was dumped.